What's on Netflix > Netflix News > Bill Nye Saves the World Season 2 Renewed: Netflix Release Date? Bill Nye Saves the World Season 2 Renewed: Netflix Release Date? Netflix has controversially renewed its science panel show Bill Nye Saves the World for a second season. The show which caused plenty of anger as well as confusion when it first landed back in April 2017. Bill Nye or as he’s more commonly known, Bill Nye The Science Guy made a name for himself when appeared in multiple seasons of the Disney show featuring his name. 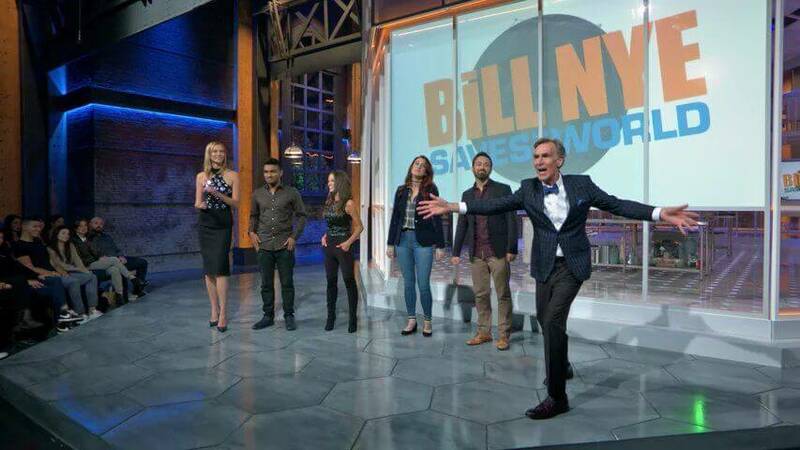 That series wrapped up almost two decades ago and Bill Nye has since used his platform too often get himself wrapped up in politically charged arguments which seem to have bled into his Netflix show. The first season featured many panelists and covered science-based topics but was quite often controversial. The series was generally liked by the critics but universally panned by audiences around the world. Never-the-less, Netflix has decided to renew the show for a second season. When will Season 2 of Bill Nye Saves the World come to Netflix? The official renewal trailer sadly didn’t have a release date which leaves us to just speculation at this point. Given the timeline’s of many Netflix shows though, it’s impossible to say whether or not it’ll be releasing on an annual basis. Given the show will want to be riding on the negative press, it won’t surprise us if we see a new season before 2017 is over. If the show does indeed stick to a yearly release schedule that’ll mean season 2 will release on Netflix in April 2018. We’ll have a further article over the next week about how the show can improve and we’ll also point out where the first season went wrong. Are you looking forward to Bill Nye returning to Netflix? Let us know in the comments below. Next story When will Cars 3 be on Netflix?